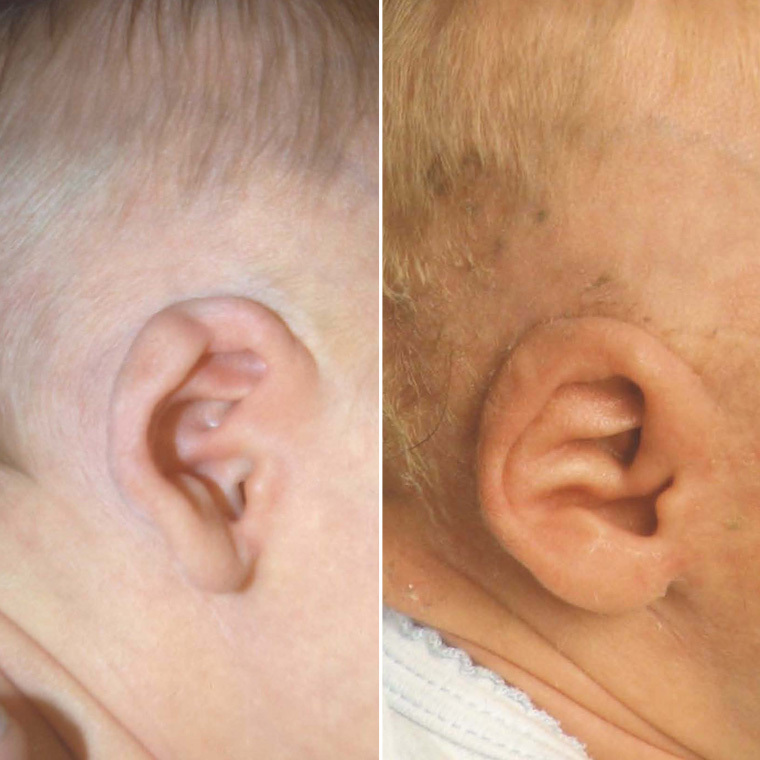 Deformities in infants can be corrected via non-surgical molding techniques, provided the treatment is started in the days after birth. 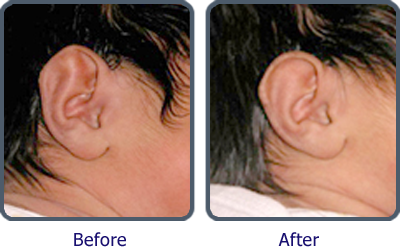 We are able to correct several deformities of the ear in infants by non-surgical molding techniques. 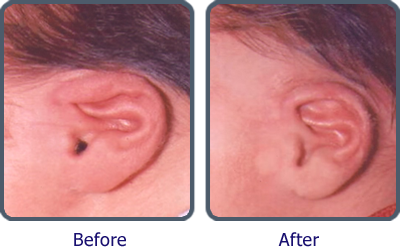 If one sees that all parts of the ear are present, non-surgical molding procedures can be considered. During the first few days after delivery the mother’s hormones circulate within the infant for up to one week. 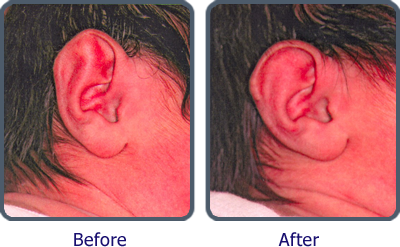 These hormones keep the ear cartilage very soft and moldable. Within the first week post-delivery, the “spring” of the cartilage can readily be changed. 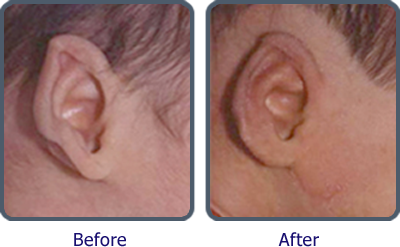 Taking advantage of this state we are able to correct many congenital ear deformities as long as reconstruction is begun within the few days after birth.  This non-surgical technique is performed with hypoallergenic tape and special molding material.